Statelessness among children born out of international surrogacy arrangements is a sad reality. Despite the availability of various international human rights law provisions guaranteeing nationality for newly born children, some states are reluctant to give nationality to the children of their citizens, who are born abroad through surrogacy arrangements. 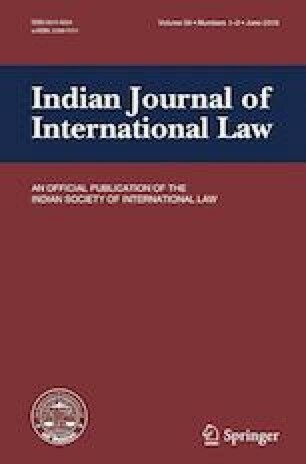 The article analyzes the root causes of statelessness among surrogate born children in the light of laws and regulations available in this realm, and concludes that countries have responsibility under international human rights regime to give nationality to children born out of international surrogacy arrangements. This obligation continues even when the state’s general public policy opposes surrogacy, and even when their jus sanguinis or jus soli norms would otherwise lead to a denial of nationality. The Article then introduces the possibility of discerning the content of these obligations not only from the major international agreements and conventions, but also from regional conventions. This method of analysis recognizes the non-negotiable nature of the human rights duties that states owe to children born out of international surrogacy arrangements while allowing some flexibility to individual states to realize these rights within their own individual and cultural understandings of nationality, parenthood, and the morality of surrogacy. The author completed this paper while holding the ICCR India Chair Visiting Professorship at the Chinese University of Hong Kong, Hong Kong. He is also an affiliate at Harvard Humanitarian Initiative at Harvard University, Massachusetts, USA and an honorary Visiting Professor for the International Criminal Justice Program offered by the International Christian University at Kinshasa, Congo.